COHOES — As Woodstock’s 50th anniversary floods the headlines, Tom Pirozzi shares how his Ominous Seapods were considered for one of the spin-off festivals during the ‘90s. The band was contacted for a possible Day One slot as promoter Michael Lang was setting the list of acts. But, that’s as far as the discussion went. Brian Mangini and Max Verna went anyway. They would enjoy 30-seconds of fame on MTV. “It was really hilarious. They had slept under the stage,” he said. The last time the Seapods played together was last year. Pirozzi celebrated his 50th birthday with an extraordinary bash that sold out the Cohoes Music Hall with more than 500 people, twice. Outside of the people cognizant of his birthday, the remainder of the crowd was there to see his Ominous Seapods perform; a rare treat nowadays with frontman Dana Monteith living in Australia. Nonetheless, fans jumped at the opportunity. What was initially billed as a one-night show quickly turned into a two-night affair. The fervor surrounding the first night, which sold out within a week, may have baffled fans outside the jam scene. But, you can’t doubt the loyalty of those within it. This week, members of the Seapods return to the Cohoes stage with a little help from old friends in a one-night gig billed as “moepods.” From the name it’s discerned that the musical act is a conglomerate that includes members from moe. Before Al Gore invented the internet and jam bands fended off constant comparisons to the Grateful Dead, the Ominous Seapods and moe. ran within the same social circles. They defined the jam scene here in the Northeast and called Albany their base of operations. Pirozzi said they would often play in the same venues. The two bands have taken different paths over the years. At one point, the Seapods were playing 200 shows a year, and developing a fanbase that stretched across the nation. 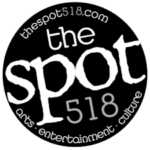 SPIN magazine named the upstate band among the groups to watch in a jam band scene defined by Phish and Dave Matthews Band. Prior to social media, fans visited the Podnet to find when and where the band was playing next. It also provided a resource for them to hear recordings of live shows. By 2001, however, the band split. Where the Seapods started out at the University at Plattsburgh, moe. formed out of the University of Buffalo at about the sametime. As the started to travel the jam circuit across the Northeast, the band considered a move to a central location. In 1994, they all packed up and moved to Albany. Five years later, the band performed at Woodstock ‘99. A few years later, Rolling Stone magazine awarded its 2001 release “Dither” a four-star review, and its popularity grew. The band continues to play and hosts its annual “Moedown” festival each year. 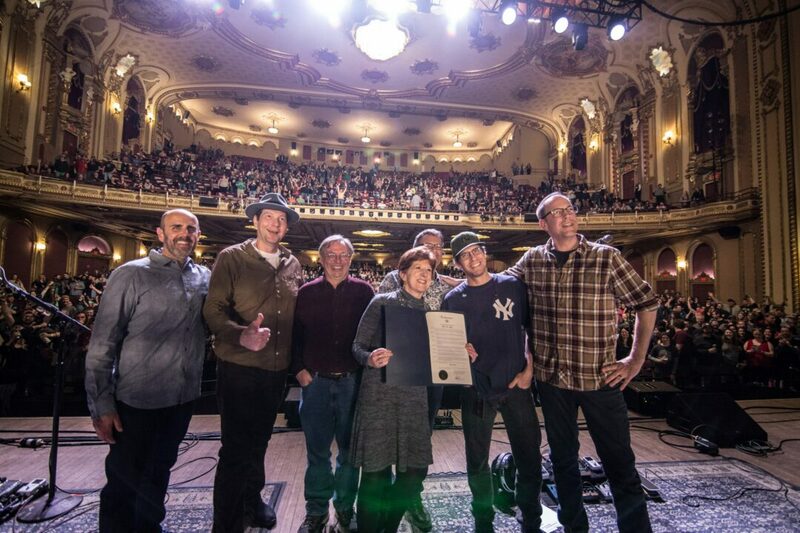 The band had itself a day in Albany last February when Mayor Kathy Sheehan proclaimed Feb. 24 as “moe. Day” at the end of a sold-out, two-night stand at the Palace. The gesture showed an appreciation for a band that had long called the Capital City home. “Last year was so much fun,” he said. “And, there seemed to be an audience for it […] so I was trying to figure out a way to keep that vibe going.” With Monteith in Australia, he reached out to both Seapods and moe. The super group recently rehearsed at Blue Sky Studio in Delmar with a playlist Pirozzi said is a little heavy on the Seapods material. However, there will be a good mix of songs from both bands. Pirozzi will be joined by Verna, Mangini, Vinnie Amico and Ted Marotta. Amico and Marotta, both drummers, will switch between drums and percussion throughout the night. The prospect of getting back on the stage with this group leaves Pirozzi optimistic for another team up in the future.